Education is important. What shapes our youth shapes the future, and so we need to craft our school curricula carefully. So it is worth carefully deconstructing the troubling new K-12 curriculum, Reframing Israel, produced by Rabbi Laurie Zimmerman. The curriculum was introduced at the beginning of the school year, and Zimmerman claims that more than 10 Hebrew schools have already adopted it. 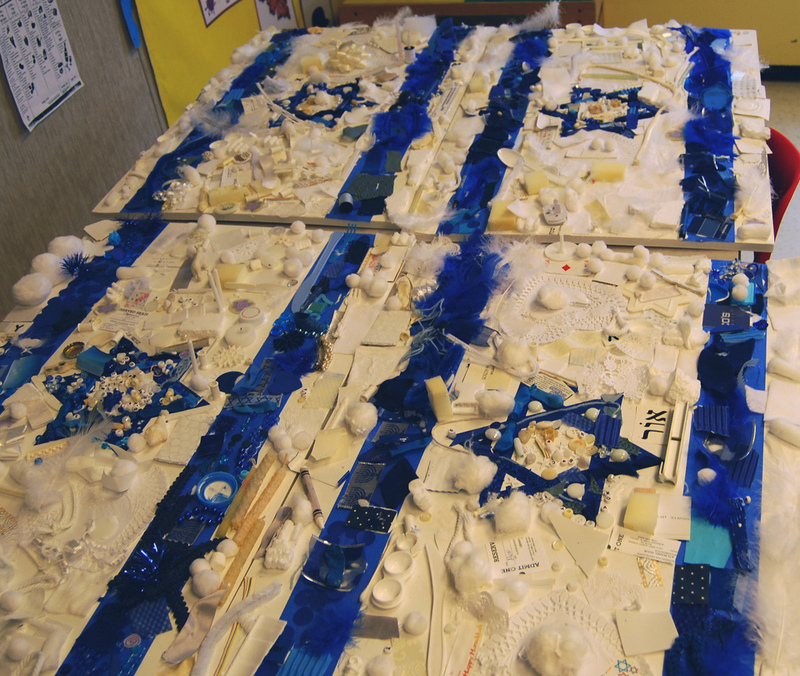 The stated goal of Reframing Israel is “teaching Jewish kids to think critically about the Israeli-Palestinian conflict.” But is this the actual impact of the curriculum? This is deeply problematic, because while BDS sells itself as a movement for justice and human rights, its ultimate goal is the elimination of Israel and the violation of Jewish rights to self-determination. According to recent polls, only four percent of American Jews strongly support BDS, and the overwhelming majority see the denial of Israel’s right to exist as racism. Members of the Jewish community are of course free to support anything they choose, but responsible parents and educators should take BDS’s agenda into account when thinking about the goals and biases of Reframing Israel. At first glance the curriculum appears well-balanced, filled with pride-building activities like learning Hebrew songs and creative exercises aimed at building understanding of both Israeli and Palestinian narratives. 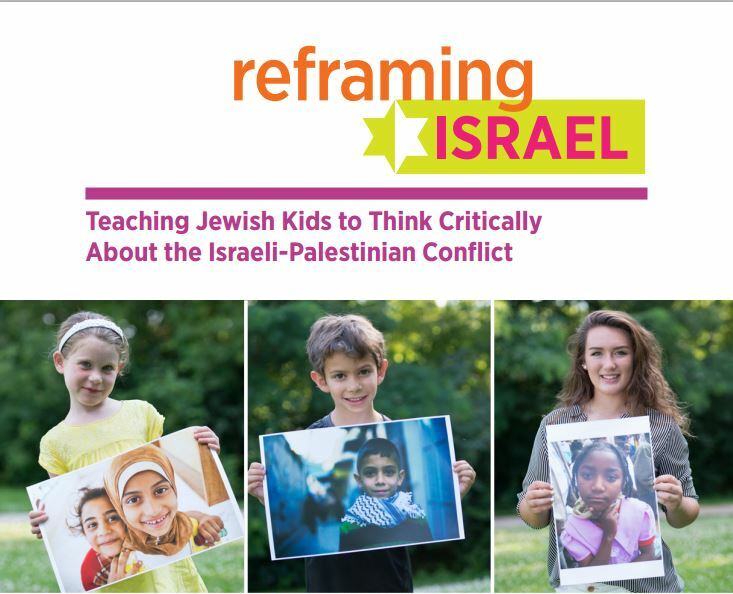 The educational method is also well thought out, encouraging students to actively engage with diverse points of view instead of expecting them to “passively accept the information.” These aspects of Reframing Israel could indeed help Jewish kids think critically about the Israeli-Palestinian conflict. It is therefore disturbing that when digging a little deeper into the material, the message becomes overwhelmingly anti-Israel and pro-BDS. This is particularly apparent in the “Historical Overview” and “Key Terms” sections, which guide the majority of the curriculum. The historical overview begins by downplaying the relationship between the Jewish people and Israel, focusing on religious instead of historical and archaeological aspects. Sections about the Jewish connection to the land are prefaced with phrases like, “in Jewish tradition,” or “according to the Hebrew Bible,” rather than being anchored in the certainty of well-documented historical facts. The overview says that “for centuries before the creation of the State of Israel in 1948, this area was known, to outsiders and to residents alike, by the Roman name ‘Palestine.’” It omits the fact that the Romans chose this name hoping to erase any Jewish connection to the land, in the aftermath of an unsuccessful Jewish revolt against their rule. What is never comprehensively stated is that Jews are indigenous to Israel; that Israel is the birthplace of their identity, language, religion, and culture; that Jews maintained a continuous presence in Israel for over 3,000 years; and that Jews who were forced to live in exile maintained their unique connection to the land throughout their history. Following the founding of Islam in the seventh century CE, Jews and Muslims, as well as local Christians, generally lived, worked, and worshiped peacefully alongside one another in what many today call the “Holy Land.” Excepting the period of the Crusades, it was only toward the end of the nineteenth century that sustained tensions began to emerge among the different communities of the region. Jewish communities are also described as being “well-integrated,” and having “flourished” in most times and places. Anti-Semitism is mentioned only in relation to Europe, and not the Middle East. This ahistorical distortion of facts is to be expected in anti-Zionist propaganda, which seeks to blame the existence of Israel for all tensions between Muslims and Jews. It does not, however, belong in a curriculum designed to educate young people with historical accuracy. The reality is that Jews in the Middle East were subjected to second-class citizenship at best and brutal violence at worst. Many visitors to the region reported how Jews were mistreated throughout the centuries. For example, when Karl Marx traveled to the Holy Land in 1854, he wrote that the Jews of Jerusalem lived in “the most filthy quarter of the town” and were “the constant objects of [Muslim] oppression and intolerance.” Reframing Israel simply whitewashes this history. It fails to acknowledge that for the Jewish people, diaspora meant 1,900 years of dispossession and oppression across both Europe and the Middle East. Unfortunately these outright distortions of history continue as the overview shifts to Israel’s 1947-1949 War of Independence. Arab forces involved in the beginning of the war are described as “no match for the well-trained and equipped Haganah,” ignoring the fact that these Arab forces were equipped by the British and able to lay siege to Jerusalem, nearly starving 100,000 of its Jewish residents to death. Historian Benny Morris is cited to support the notion that Palestinian refugees were “deliberately pushed out,” yet Morris himself has explicitly stated that “no systematic policy of expulsion was ever adopted or implemented” by Israel. The controversial account of Palestinian civilians being killed in the village of Deir Yassin is covered uncritically, while the numerous accounts of Jewish civilians being killed during the war are never mentioned. Finally, while the overview effectively blames Israel for the Palestinian refugee crisis, it equivocates and fails to hold Arab leaders responsible for the simultaneous dispossession and plight of 850,000 Jewish refugees from Arab states. Part of the cover of Reframing Israel. The overview is equally biased when it comes to the numerous proposals that have been made to divide the land peacefully between Israelis and Palestinians. It states that “neither side embraced” the 1937 Peel Report, which called for the establishment of a tiny Jewish state and a much larger Arab state. In fact it was only the Arab leadership which unequivocally rejected any possibility of Jewish statehood. Zionist leaders signaled that while they were unsatisfied with the proposal, they were interested in negotiating. The Jewish leadership accepted the UN Partition Plan and Jews around the world celebrated, seeing Partition as the fulfillment of the Zionist dream. Palestine’s Arab leadership, however, rejected Partition, arguing that foreigners (i.e., the British and the UN) had no right to take land from Arabs and give it to a minority of Jews, most of whom had recently arrived from Europe. Some also emphasized that while Jews owned only 6-7 percent of the land and represented only 30 percent of the total population, the Partition Plan awarded them 56 percent of Palestine—an outcome that they considered unfair. These objections from Arab leaders are covered uncritically, as is their decision to immediately go to war against the Jews instead of negotiating or making a counter-offer. Even Palestinian Authority President Mahmoud Abbas has said that rejecting the 1947 Partition Plan was “our mistake. 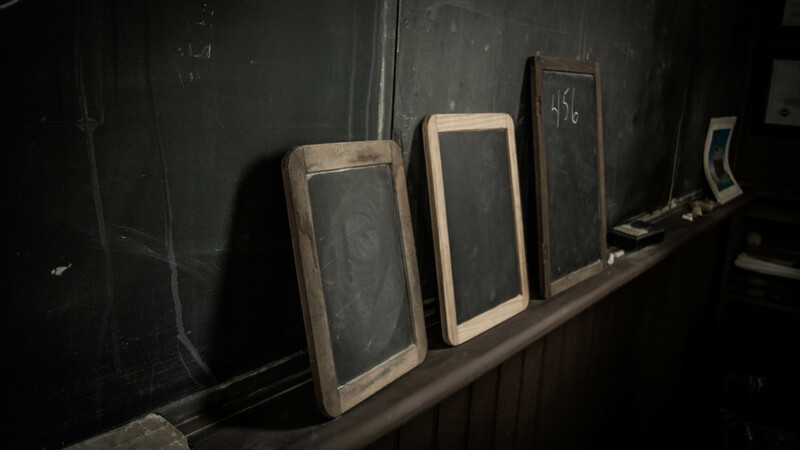 It was an Arab mistake as a whole.” Yet this notion is entirely absent from the curriculum. Likewise, there is no mention of the fact that 70 percent of the land allocated to the Jews was an arid desert, or that Jerusalem would have been classified as an international city rather than the capital of the Jewish state. The notion that the Jews were merely recent arrivals from Europe is not meaningfully challenged, even though Jews are indigenous to Israel, were the majority population in Jerusalem since the late 1800s, and had already been building the foundations of a state for half a century. Palestinian leader Yasser Arafat’s rejection of a far-reaching Israeli peace offer in 2000 is presented as an Israeli “claim,” rather than a fact that has been repeatedly corroborated by former U.S. President Bill Clinton and others. Lastly, the curriculum completely ignores Prime Minister Ehud Olmert’s 2008 offer to give almost all of the West Bank and Gaza to the Palestinians for peace, and the rejection of that offer by Mahmoud Abbas. Most egregious is how the violent racism of prominent Palestinian leaders and organizations is whitewashed or ignored. 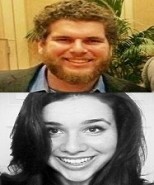 The curriculum falsely claims that Palestinian suicide bombings, which began in 1993, were a reaction to a massacre perpetrated by Jewish terrorist Baruch Goldstein in 1994. The extended and brutal Palestinian attacks of the Second Intifada are presented as “grassroots” retaliation against Israel, ignoring the fact that Arafat was actively encouraging the murder of Israeli civilians. Haj Amin al-Husseini, the grand mufti of Jerusalem from 1921-48, is discussed numerous times, but with no mention of his violent incitement against Jews. The PLO is described as mostly “secular and left-wing”—despite the fact that its charter called for the violent destruction of Israel and erased the connection between the Jewish people and their homeland. Hamas’ goals are presented as simply “Israeli withdrawal from the occupied territories and the return of Palestinian refugees,” ignoring their repeated calls for genocide against Jews and the destruction of Israel. At the end of this “historical overview,” which supposedly encourages critical thinking about the conflict, the BDS movement is introduced entirely uncritically to Jewish children. In the “Key Terms” section, BDS is described favorably as having “attracted significant global support,” with opposition coming only from “Jewish organizations” for reasons unknown. This is not only misleading but disingenuous; BDS is overwhelmingly opposed by Western political leaders, major American academic institutions, and the mainstream Jewish community due to the movement’s destructive agenda. For instance, BDS’s central demand—the right of return for Palestinian refugees and their descendants—is presented without criticism. (President Barack Obama has contended that it would “extinguish Israel as a Jewish state.”) The right of the Jewish people to self-determination, which underpins Israel’s existence and is guaranteed under international law, is never clearly recognized. The curriculum paints the Jewish “Right of Return” as inherently discriminatory, never mentioning that other nations, such as Ireland and Japan, provide similar rights. Astonishingly, BDS’s core slander against Israel—that Israel is an apartheid state—is introduced without any meaningful counterarguments. The evidence strongly suggests that Reframing Israel is an attempt to inculcate Jewish-American children with the BDS movement’s political agenda. If this is the case, it may be BDS’s most despicably manipulative tactic yet. Whether the flaws in Reframing Israel are a result of unconscious bias or insidious political motives is not entirely clear. What is clear, however, is that this curriculum lacks academic integrity and fails to achieve its stated goal of promoting critical thinking. Instead, Israel is presented as confusing and strange. A questionable solution to a somewhat limited problem of anti-Semitism; a country with defense policies, but no clear reason for their existence; a policeman in a mostly crime-free neighborhood; a nation more on the wrong than the right side of history. Rather than teaching Jewish kids to think critically about the conflict, this curriculum largely teaches them to uncritically accept certain Palestinian narratives while constantly underplaying the valid concerns of Israelis. It is unfortunate that Reframing Israel thoroughly fails to encourage genuine critical thinking about the Israeli-Palestinian conflict, because there is a real need for this type of curriculum within Jewish educational institutions. Many Jewish students get to college knowing little about the Israeli narrative and nothing about the Palestinian narrative, despite the fact that both are so relevant to the story of the Jewish people today. So what would a successful curriculum to foster critical thinking look like? It would employ some similar methods to Reframing Israel in terms of introducing students to different aspects of Jewish, Israeli, and Palestinian culture, and encouraging them to actively engage with differing perspectives rather than handing them predetermined conclusions. The curriculum would still cover both Israeli and Palestinian narratives, and expose students to a variety of political viewpoints. However, the historical overview would make clear that Israel is the home of the Jewish people from a historical, archaeological, and anthropological perspective. It would be candid about the 1,900 years of dispossession and oppression Jews suffered across both Europe and the Middle East, up until Israel was established. And it would engage with Palestinian perspectives without shying away from a truly critical examination of the role influential Palestinian leaders and organizations have played in the conflict. Most importantly, critical thinking would occur within a basic framework that is sorely missing from Reframing Israel. Supporting Israel’s right to exist as a Jewish and democratic state would be presented as what it is: an ethical and moral imperative not just for young Jews but for all people of conscience. The curriculum would under no circumstances promote political agendas that deny the rights of the Jewish people or the Palestinian people to self-determination. BDS would be clearly defined as a form of bigotry which makes it more difficult to achieve a just peace between Israelis and Palestinians. We must encourage young Jews to think and engage critically with the conflict, so that they are intellectually and emotionally prepared when they get to college. But as we do so, we must make sure that we are not giving legitimacy to those who are trying to undermine our rights as a people. Reframing Israel has not been widely adopted by Jewish educational institutions as of yet, but there appear to be active attempts underway to make this happen, starting with outreach to the Reconstructionist Educators of North America. The curriculum has also received significant exposure in the mainstream Jewish press and been promoted on social media by officials at influential political organizations. As efforts to push Reframing Israel increase, it is crucial for Jewish educators and parents to be fully informed about how problematic it truly is. Senator Daniel Patrick Moynihan once stated that “everyone is entitled to their own opinions, but they are not entitled to their own facts.” The authors and activists behind Reframing Israel should heed this truth and change their curriculum accordingly. Until then, Jewish parents and educators should look elsewhere to provide their children with a critical and well-rounded understanding of the Israeli-Palestinian conflict.